The League of Nations was formed in 1919 with the goal of preventing future wars. Although the League of Nations was proposed by U.S. President Woodrow Wilson, the United States never joined. The League struggled in its peace-keeping mission and was ultimately a failure—as evidenced by the event of World War II within a generation. Under the League there was little peace between nations—nor within many of them. Adolf Hitler’s campaign to exterminate the Jews had begun in Germany and throughout Europe. Civil war raged in Spain. In the Soviet Union, Joseph Stalin ordered the deaths of hundreds of thousands of people in a campaign of repression known as the “Great Purge.” Between 1934 and1938, Stalin and his lieutenants oversaw the detention by secret police of more than 1.5 million people in Gulag labor camps. They executed at least 700,000—some historians say more. The League of Nations did not intervene as these were considered internal matters. As World War II raged, U.S. President Franklin D. Roosevelt met with Stalin and British Prime Minister Winston Churchill at the Tehran Conference in 1943. At this war strategy meeting, Roosevelt, Stalin, and Churchill decided—among many other things—that a new body should be formed to replace the League of Nations and that the United States would be a part of the new body. 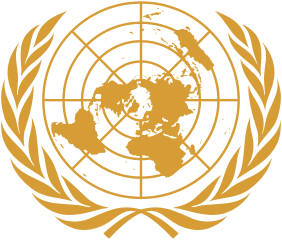 In 1945, representatives from fifty nations met in San Francisco to write a charter for the new organization, the United Nations (UN). The UN Charter stated it would provide the "foundation and cornerstone on which the international organization to keep the peace will be built" (Charter of the United Nations, 1945). Its Security Council would take over the peacekeeping mission of the League of Nations, and would have five permanent members: the victors in WWII. 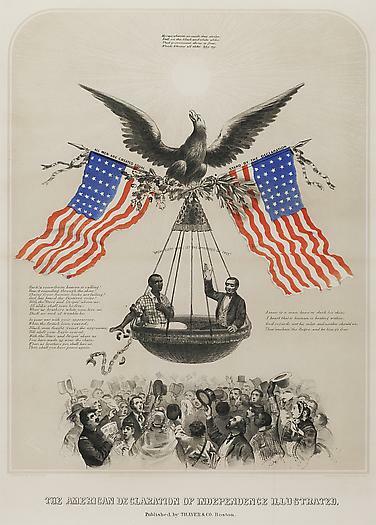 The U.S. ratified the UN charter in December of 1945, ensuring U.S. participation. The role of U.S. ambassador to the United Nations is a diplomatic post. Like all ambassadorships, candidates are nominated by the president and confirmed by the Senate. The UN has 193 member nations. It has five parts, or organs: the General Assembly, the Economic and Social Council (ECOSOC), the Secretariat, the International Court of Justice, and the Security Council. The United Nations Security Council has the mission of peacekeeping. This group has 15 members. Five are permanent, and as the victors of World War II, they include the United States, the Soviet Union, Great Britain, France, and China. (The Soviet Union was later replaced by the Russian Federation. China originally represented by the government now in Taiwan, is currently represented by the Communist government in Beijing.) The other 10 members of the Council are elected for two-year terms. Currently, 69 nations have never had a seat on the Council. The Security Council’s resolutions are enforced by countries that voluntarily send troops to enforce peacekeeping missions. The UN’s website lists 16 ongoing peacekeeping missions in 2014. Permanent members of the Security Council have a crucial veto power. Under the League of Nations, decisions had to be unanimous, giving every country an effective veto. Under the United Nations, however, only the five permanent members of the Security Council have this veto power. This gives them more power than non-permanent members. Yet even with fewer nations able to veto resolutions, the Security Council is often gridlocked. , During the Cold War, for example, the United States frequently vetoed Soviet-backed measures. The Soviets, meanwhile, often used their veto to block American initiatives. A study of the Security Council’s make-up and history, is helpful in evaluating its effectiveness and success. One should also consider the wisdom of U.S. membership in the UN, keeping alive the debate over U.S. entry into the League of Nations. 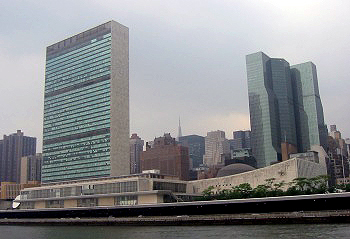 Congress has considered various measures to reform U.S. interactions with the UN and many of the General Assembly’s resolutions. Although these resolutions are not binding on the United States or U.S. citizens if they are not passed by Congress and signed by the president. These controversies sometimes originate because the United States and other countries have different understandings of the term “rights.” These differences can be crucial. What are they? It is illuminating to compare the U.S. Declaration of Independence and the U.S. Bill of Rights to the UN Universal Declaration of Human Rights. The Declaration of Independence states clearly that human rights are natural. The Declaration of Independence states clearly that human rights are natural. They come from “Nature or Nature’s god,” as the Declaration says. We are all created equal, that is, born with an equality of rights no one is born with the right to rule over others without their consent. They come from “Nature or Nature’s god,” as the Declaration says. We are all created equal, that is, born with an equality of rights no one is born with the right to rule over others without their consent. Government does not “give” or “grant” anyone rights. These are inherent in our humanity. Yet what makes a government legitimate, the Founders believed, is that it protects the rights of life, liberty, and the pursuit of happiness, including one’s property, by safeguarding citizens against invasion or violation of rights. Without a stable rule of law to equally protect the rights of all, the strong would easily rule over the weak. No one’s rights would ever be secure. The Bill of Rights places limits on government in order to protect several “negative” rights—rights that do not require anyone to act on your behalf (except the right to trial by jury which requires citizens to act on behalf of defendants in trials). These negative rights include freedom of religion and freedom of speech. No one has to provide you with anything in order for you to freely believe in God (or no God). You do not have to take anything from anyone in order to exercise your natural right to speak freely. You also need to be secure in exercising these rights and the government has the responsibility to ensure that rights are protected and preserved. The Bill of Rights also places limits on government (originally only the national government, but now on all levels of American government) for the protection of due process rights. These protections work to ensure that the rights of criminal defendants are safe. Accused persons are people who are often disliked, and whom a majority of people might wish to see imprisoned or even killed. The federal, state, and local laws on the books in the United States today are so extensive, encompass so many aspects of life, and change so often, that it’s almost impossible for the average citizen to know them. Prominent members of Congress have even stated publicly that they themselves have not even read laws before they voted to pass them! So the old adage is true that protections for criminal defendants protect us all. You never know when you might find yourself falsely accused. Thanks to several Bill of Rights protections, government cannot search you without a warrant proving probable cause, detain you without showing why, deny you your lawyer, force you to testify against yourself, or declare you guilty without the chance of a jury trial. If you are found guilty, it cannot excessively fine you, or give you a cruel or unusual punishment. Finally, it is important to note that the Bill of Rights is not intended to serve as an exhaustive list of rights. James Madison and other supporters of the Constitution knew that listing every right would be impossible. It could also lead to the incorrect notion that government granted you your rights. The UN Universal Declaration of Human Rights does attempt to provide a list of rights. In contrast to the way American charters define and protect rights, the UN Declaration of Human Rights treats rights as granted by government, and lists positive rights. It says that people have a “right” to be provided with certain things. However, the similarities end when the UN document begins listing services to which people are entitled as rights. “Everyone has the right to work... to rest and leisure... periodic holidays with pay... food, clothing, housing, and medical care... [and] education to the full development of the human personality” (United Nations, “Universal Declaration of Human Rights,” 1948). Working, resting, eating, learning, and receiving medical care are undoubtedly good things. But should they be considered “rights”? If so, what happens when someone does not have access to them? What would happen if they cost too much for government to provide them? Another difference between the UN Declaration and U.S. Constitution is the difference that is frequently found between the right on paper and in practice. It is true that, especially in times of war and the “War on Terror,” the U.S. has relaxed constitutional protections and threatened liberty. But several provisions in the UN Declaration truly strain credibility. For example, several member nations who agreed on paper that “Everyone has the right to leave any country, including his own, and to return to his country” did not—and still do not—allow their people to leave. Some countries headed by totalitarian rulers, dictators, or monarchs signed on to the idea that “The will of the people shall be the basis of the authority of government; this will shall be expressed in periodic and genuine elections which shall be by universal and equal suffrage and shall be held by secret vote or by equivalent free voting procedures.” Others who agreed on paper that “Everyone has the right to freedom of thought, conscience and religion” provide the death penalty for blasphemy (United Nations, “Universal Declaration of Human Rights,” 1948). Finally, one stark difference between the U.S. and UN conception of rights and the purpose of government comes in Article 29. “(1) Everyone has duties to the community in which alone the free and full development of his personality is possible. (3) These rights and freedoms may in no case be exercised contrary to the purposes and principles of the United Nations” (United Nations, “Universal Declaration of Human Rights,” 1948). In the American political tradition, rights need to be made secure and the purpose of government is to protect them. As conceived by the United Nations, however, rights are negotiable and can be compromised to protect the governing body that grants them.